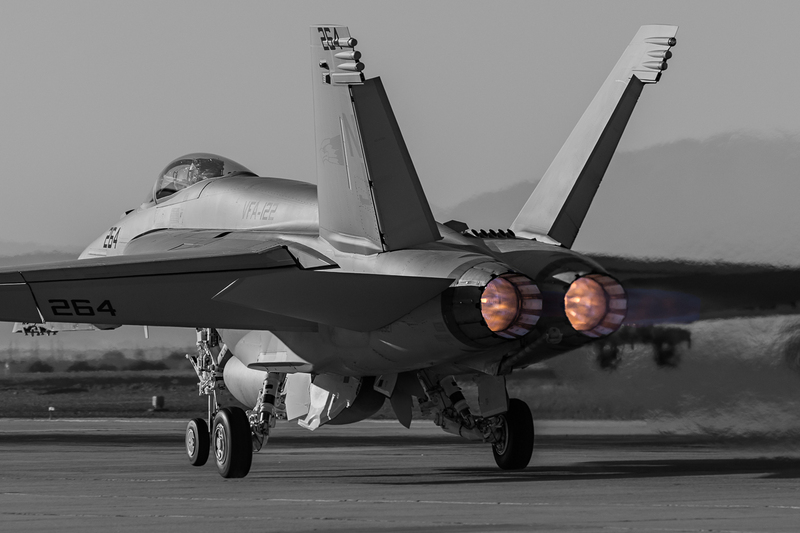 Hornets, Harriers, Hawks…Here we present another visual experience as part of our “Through the Lens” series. 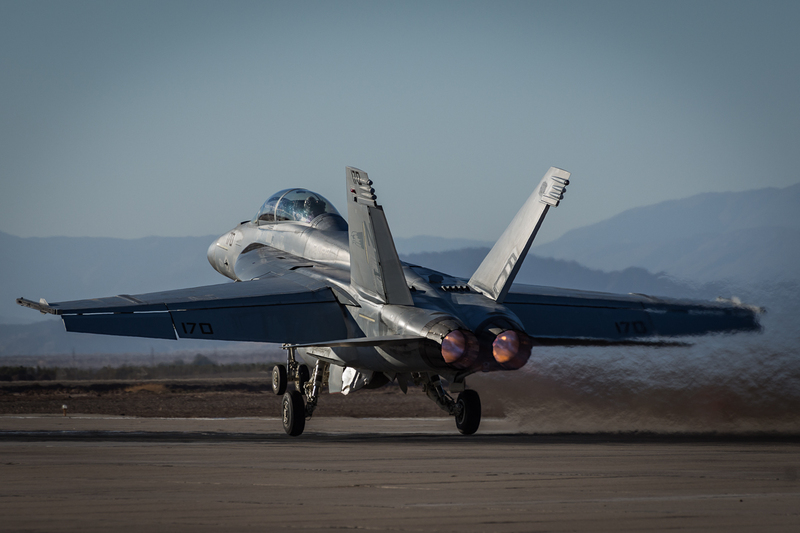 This time we visit another key base that supports U.S. 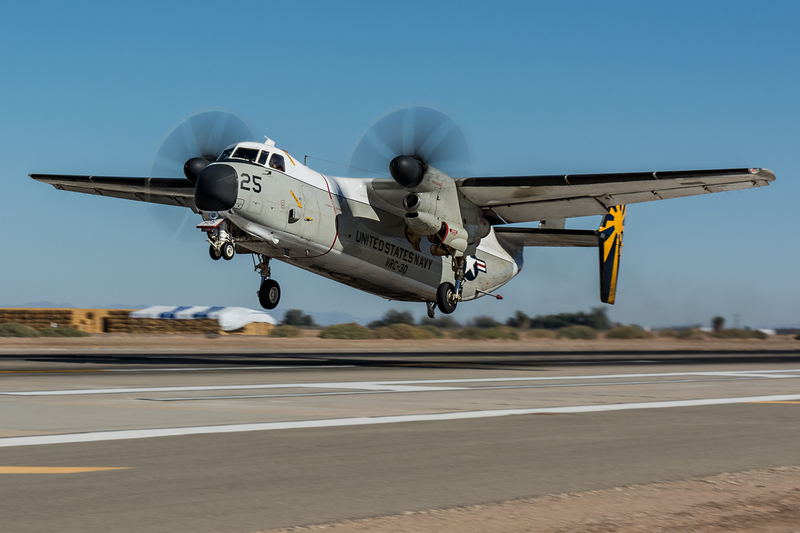 Naval aviation: Naval Air Facility El Centro. 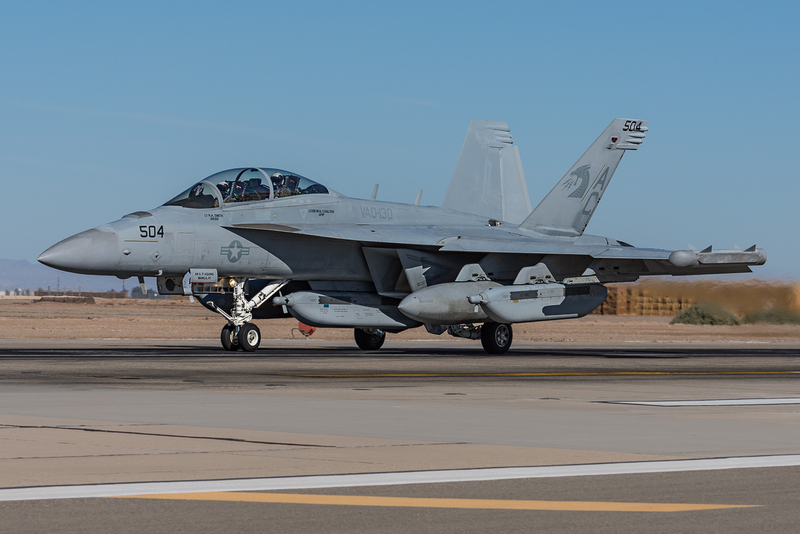 On Tuesday, November 17, 2015, Naval Air Facility El Centro hosted aviation photographers from the U.S. and other countries for the Fall 2015 iteration of, what is commonly known as, the El Centro Photocall. 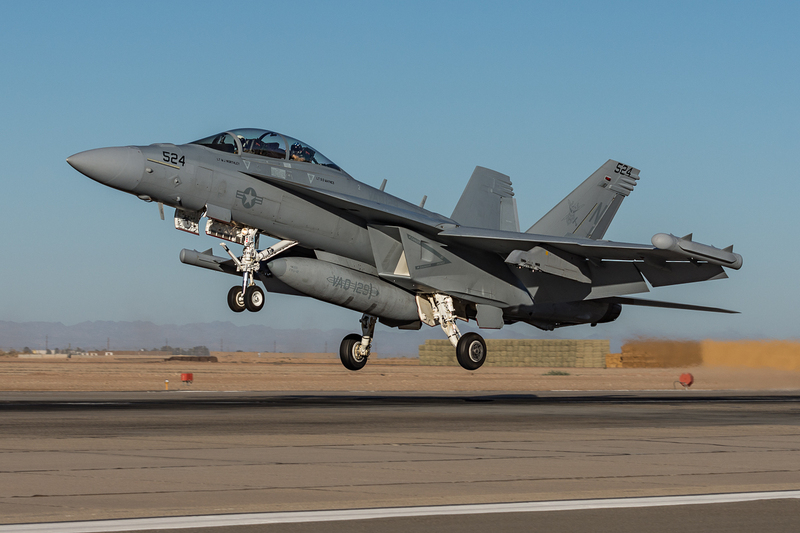 This biannual “photocall” is an opportunity for aviation photographers and media to capture some of the sights and sounds of NAF El Centro. 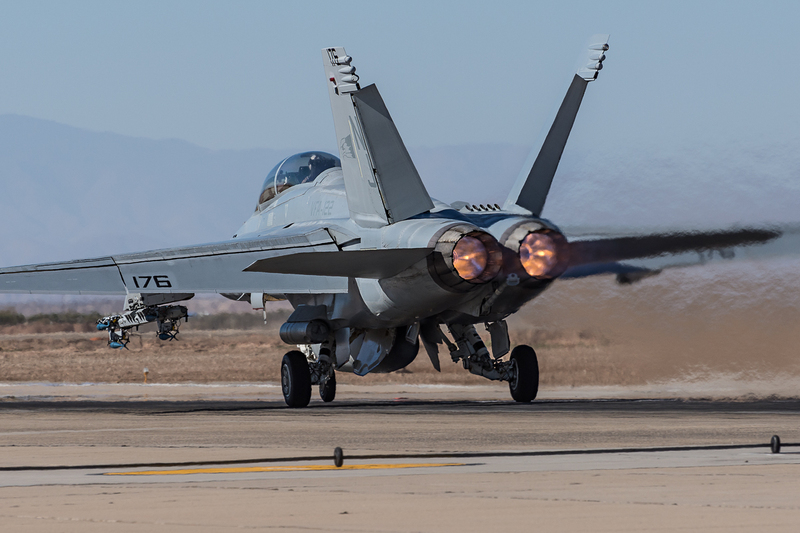 When shared with the public, the photos and videos taken at the event helps tell the story of the base and allows the public to see the strategic importance of NAF El Centro in terms of military aviation. 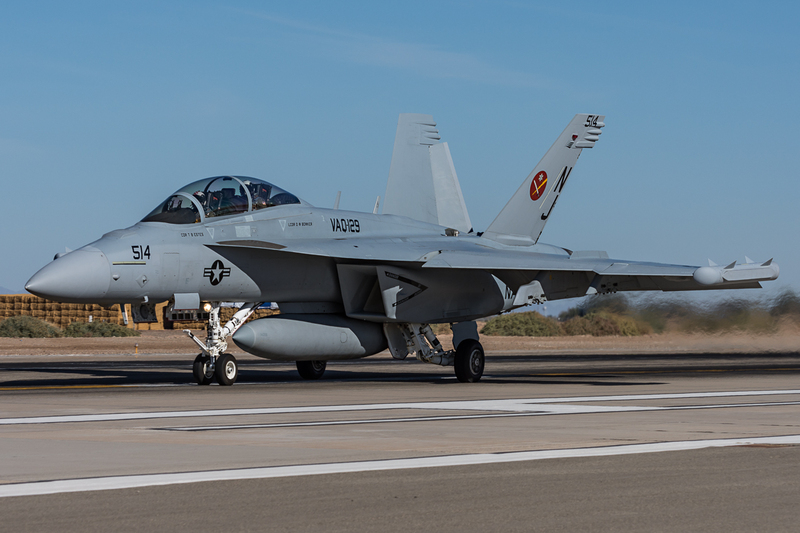 Naval Air Facility El Centro is located just outside the city of El Centro, California, about 110 miles east of San Diego and 72 miles west of Yuma, AZ. 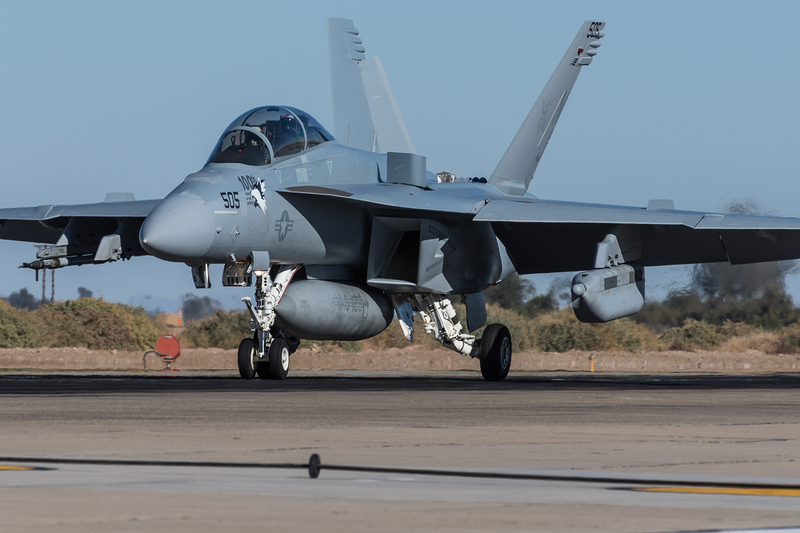 The ideal weather in the area makes NAF El Centro an attractive base for aviators from the U.S. Navy, USMC, and other U.S. and non-U.S. squadrons to train at. 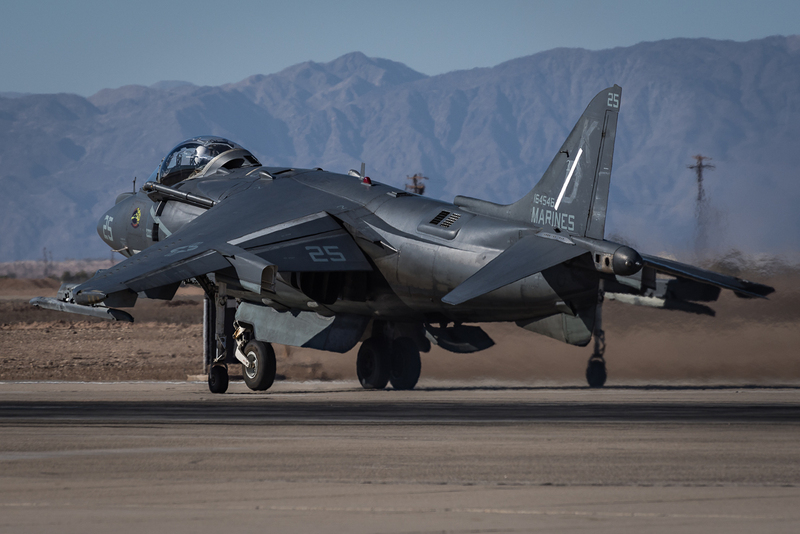 It is not uncommon to see RAF and the Royal Navy have helicopter units train at the base. 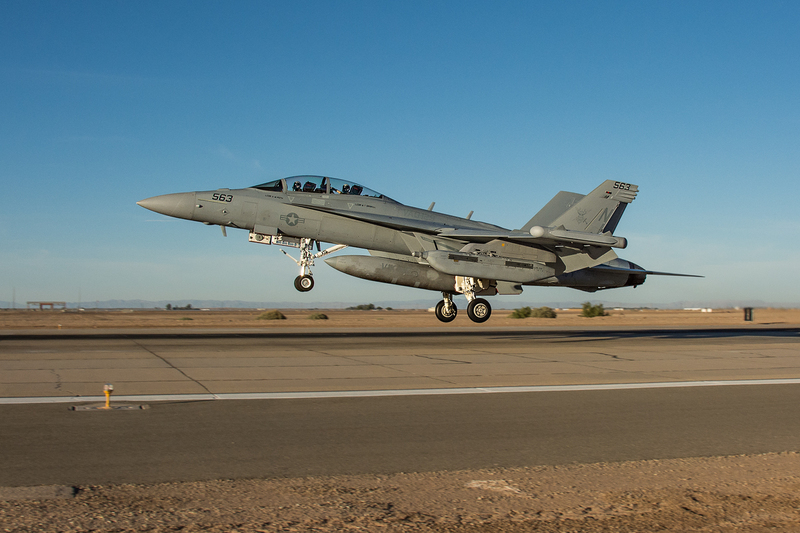 NAF El Centro is also the winter home of the U.S. Navy Flight Demonstration Squadron, The Blue Angels. 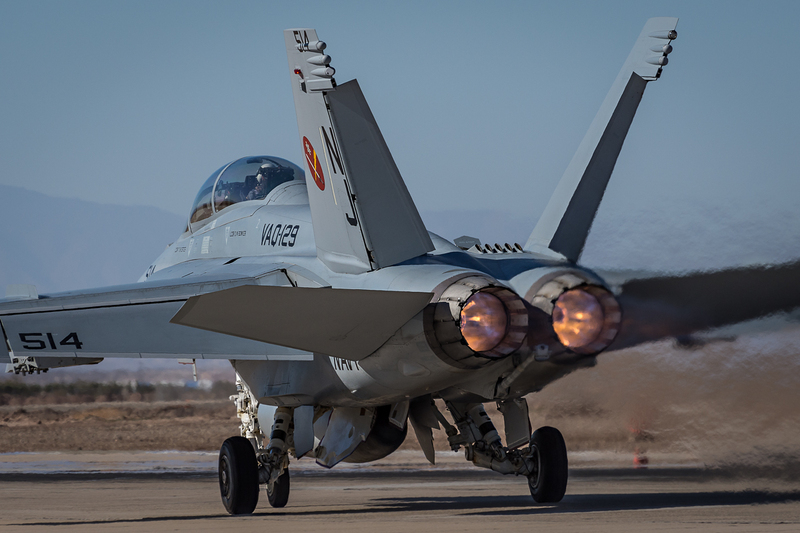 NAF El Centro is also the site of an annual air show that features the initial performance of the Blue Angels for the year. 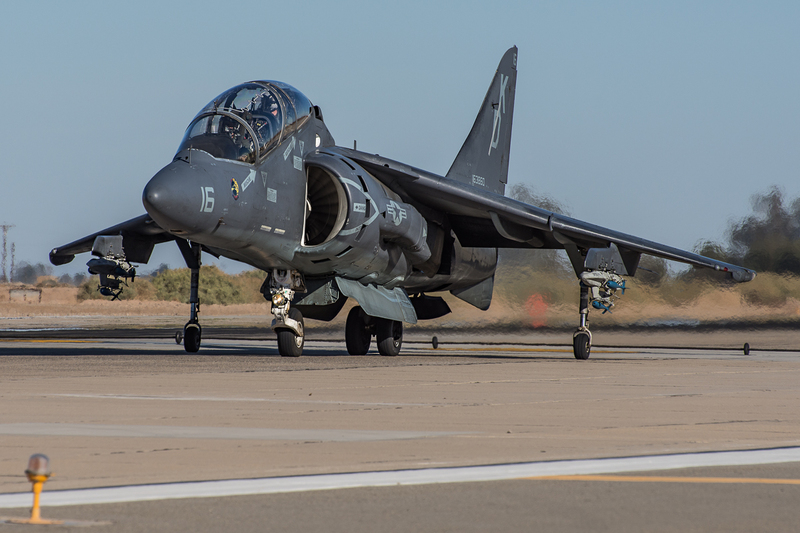 Originally a Marine Corps Air Station, then a Naval Air Station. 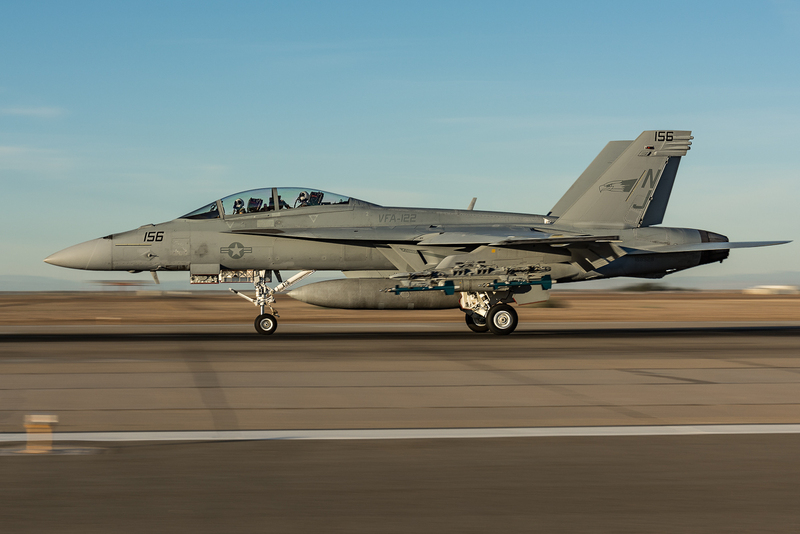 In 1979, the base was designated Naval Air Facility El Centro. 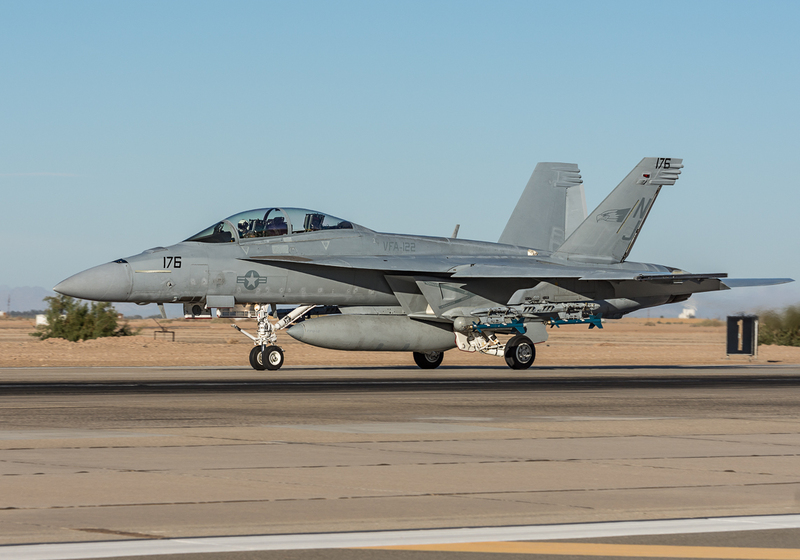 With an average of 2.96 inches of rainfall each year and close proximity to gunnery ranges such as the Chocolate Mountain Aerial Gunnery Range (CMAGR) and the Barry M. Goldwater Air Force Range (BMGR), and with a vast amount of airspace that can be utilized, such as the R-2508 Special Use Airspace Complex, NAF El Centro can be an ideal training location. 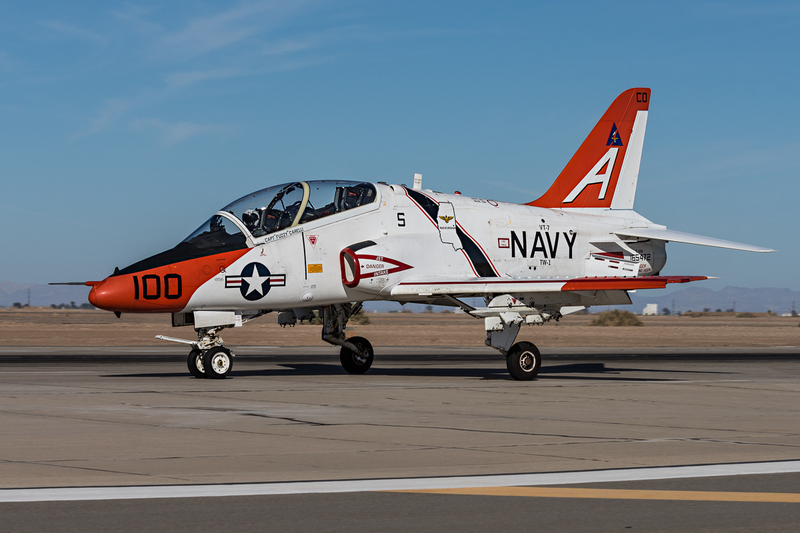 A McDonnell Douglas T-45C Goshawk from U.S. Navy Training Squadron SEVEN (VT-7) “Eagles” departs NAF El Centro in the late afternoon. 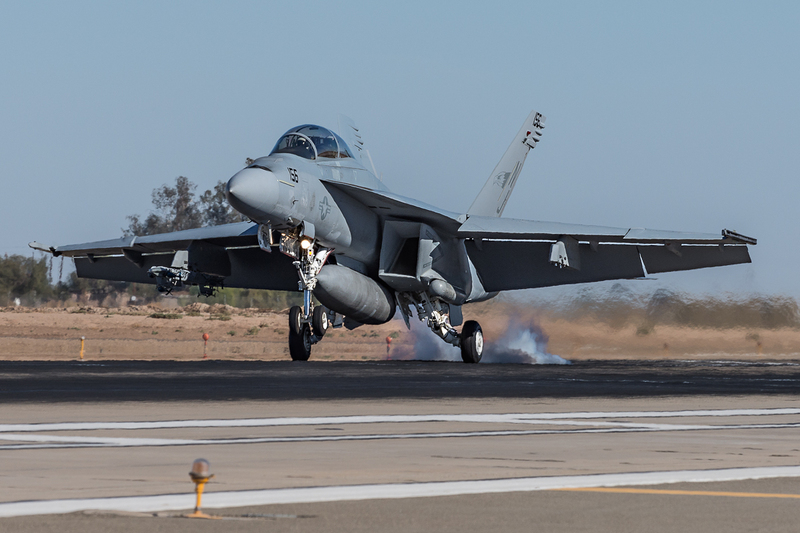 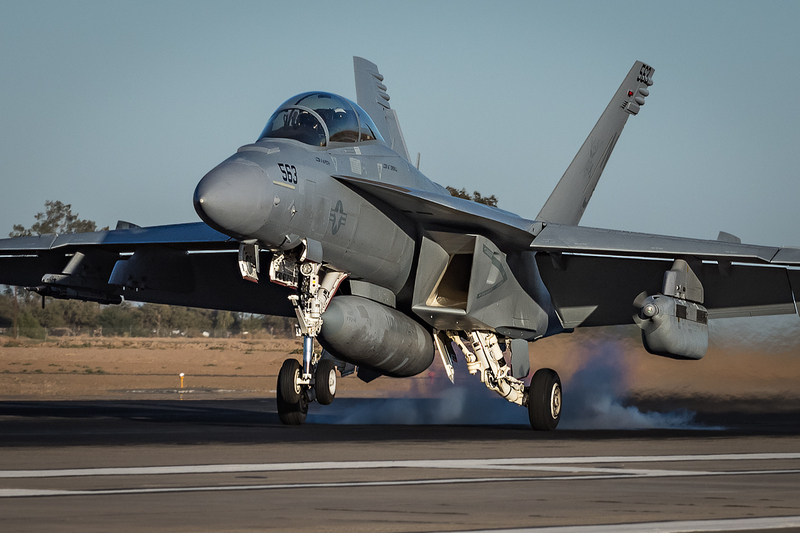 A Boeing EA-18G Growler from Electronic Attack Squadron One Two Nine (VAQ-129) “Vikings” touches down. 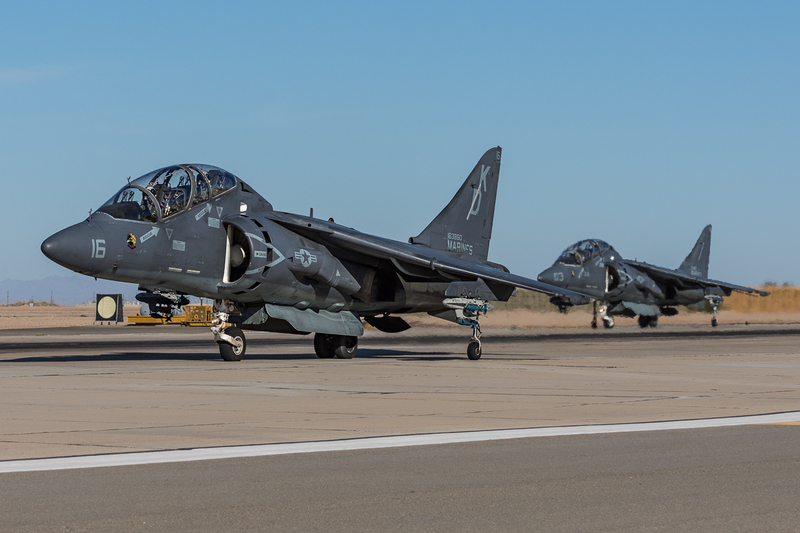 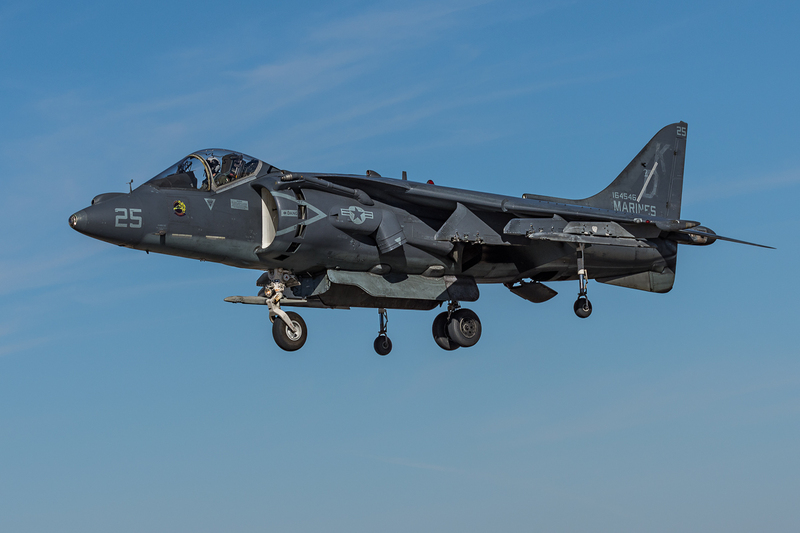 A pair of odd-looking USMC McDonnell Douglas TAV-8B Harrier II’s from Marine Attack Training Squadron 203 (VMAT-203) “Hawks” taxi out for departure. 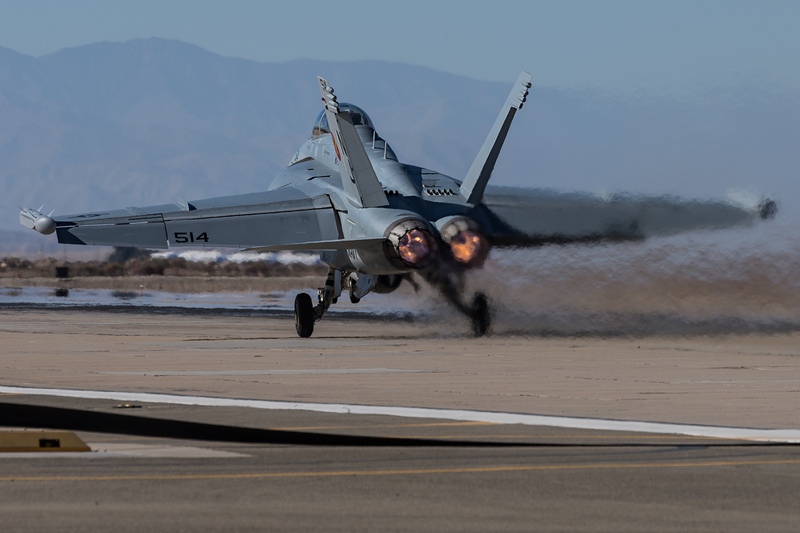 A Boeing F/A-18E Super Hornet from Strike Fighter Squadron 122 (VFA-122)”Flying Eagles” shows the “burners” from a pair of General Electric F414-GE-400 turbofans on departure. 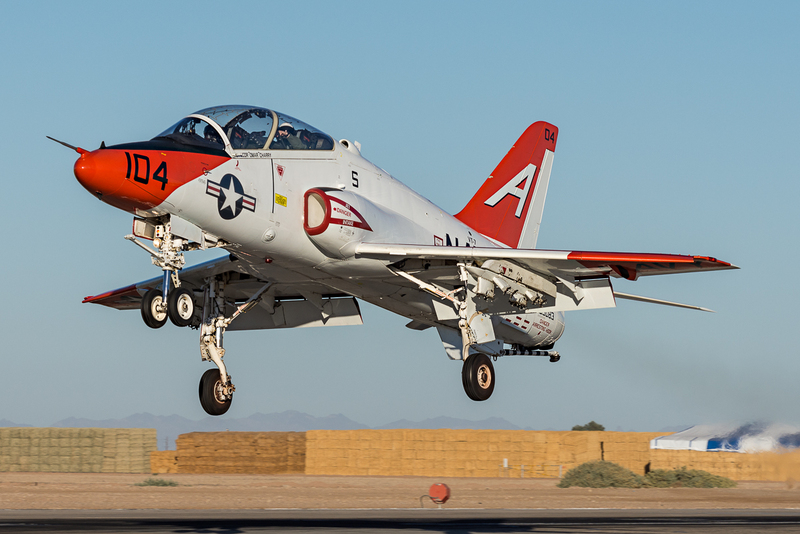 McDonnell Douglas T-45C Goshawks on departure. 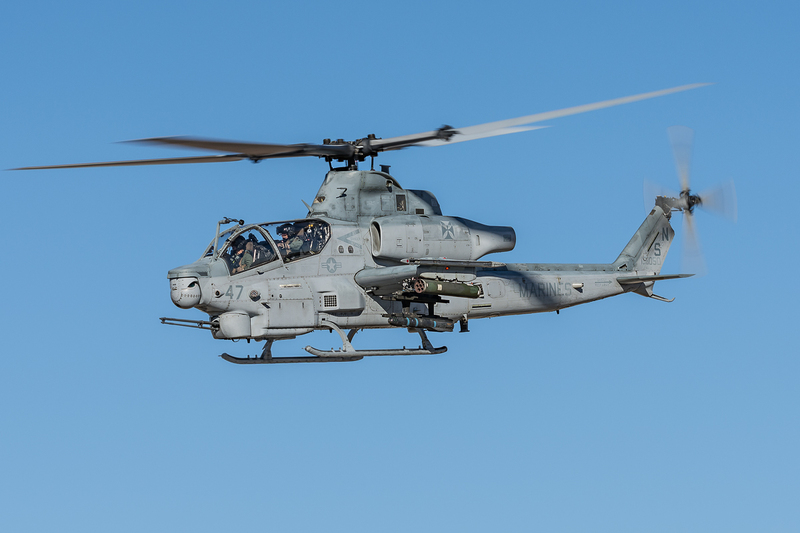 A Bell AH-1Z Viper from Marine Light Attack Helicopter Squadron 169 (HMLA-169) “Vipers” with a photo pass on departure. 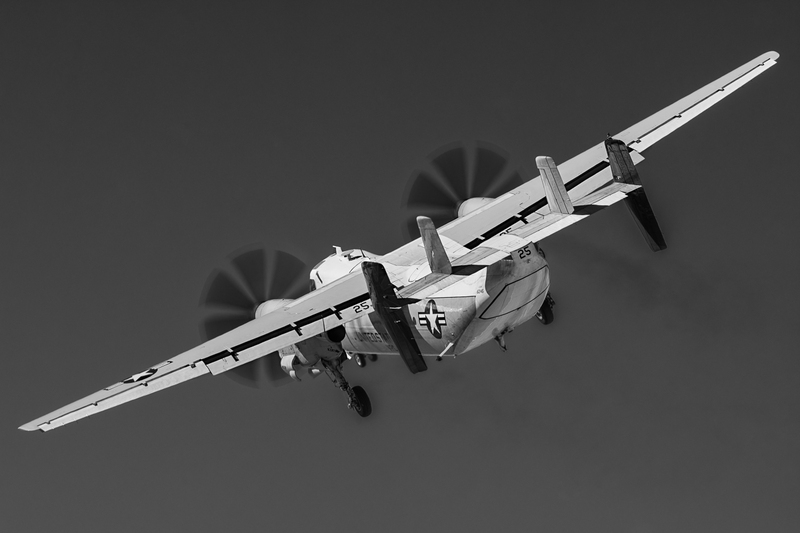 A Grumman C-2 Greyhound departs into the afternoon sun. 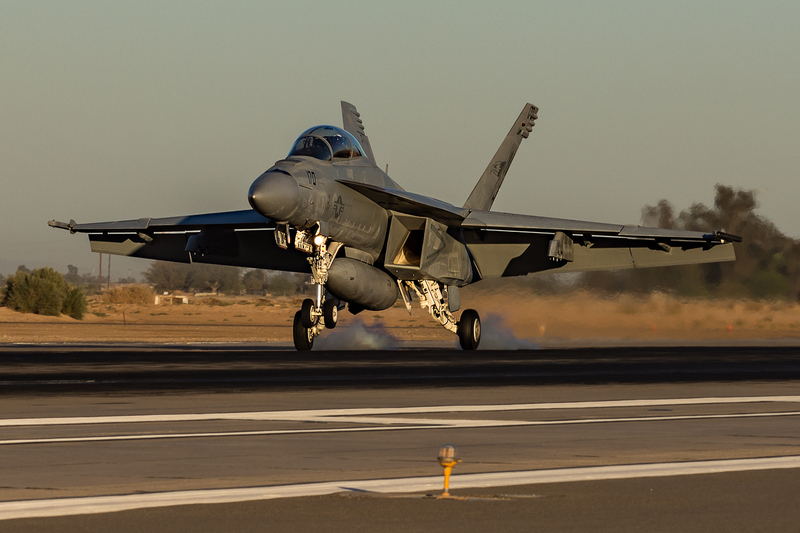 Boeing F/A-18 E/F Super Hornets launch. 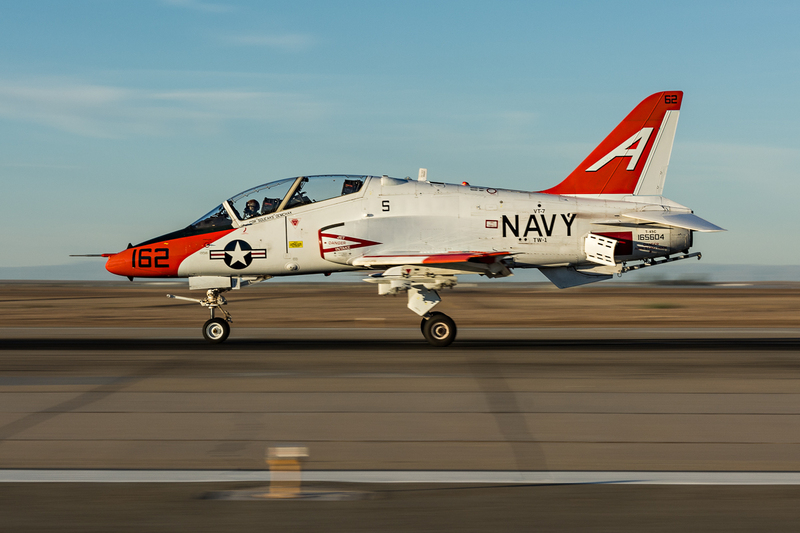 A McDonnell Douglas T-45C Goshawk departs after a quick touch down. 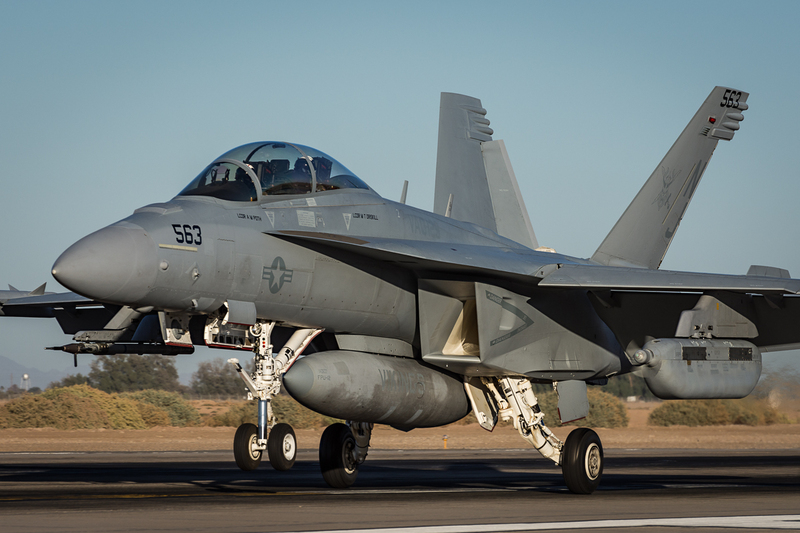 The 100th production Boeing EA-18G Growler from Electronic Attack Squadron 129 (VAQ-129) “Vikings” arrives in the late AM sun. 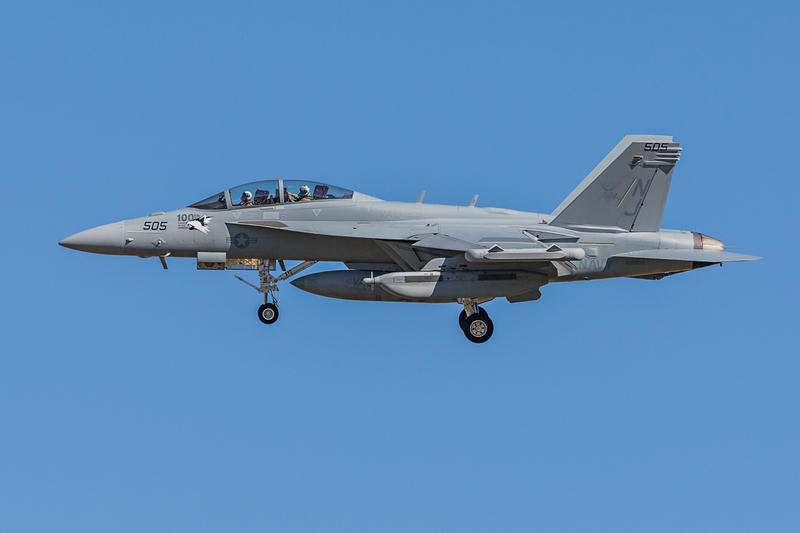 A touch of color on the tail of this Boeing EA-18G Growler from Electronic Attack Squadron 129 (VAQ-129) “Vikings” as it departs NAF El Centro. 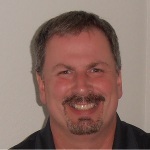 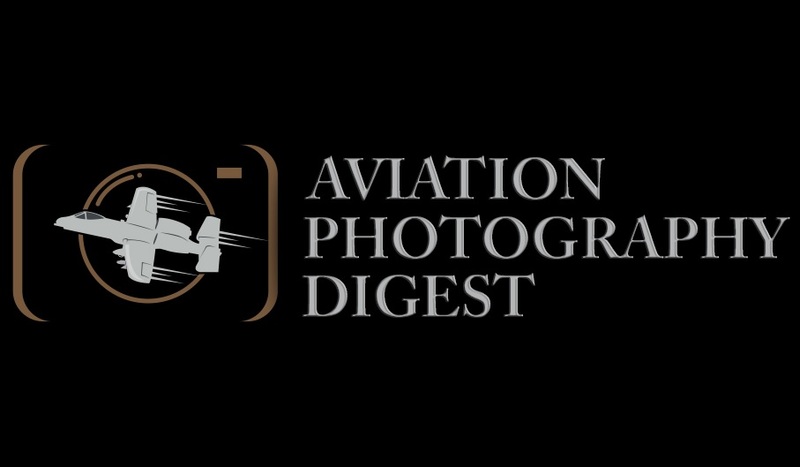 Aviation Photography Digest would like to thank Kristopher Haugh, his team, and the leadership from aviation photography groups such as: Fencecheck, Aviation Photographers of Southern California (AP SoCal) and Arizona Aviation Photographers (AzAP) for making this event happen. 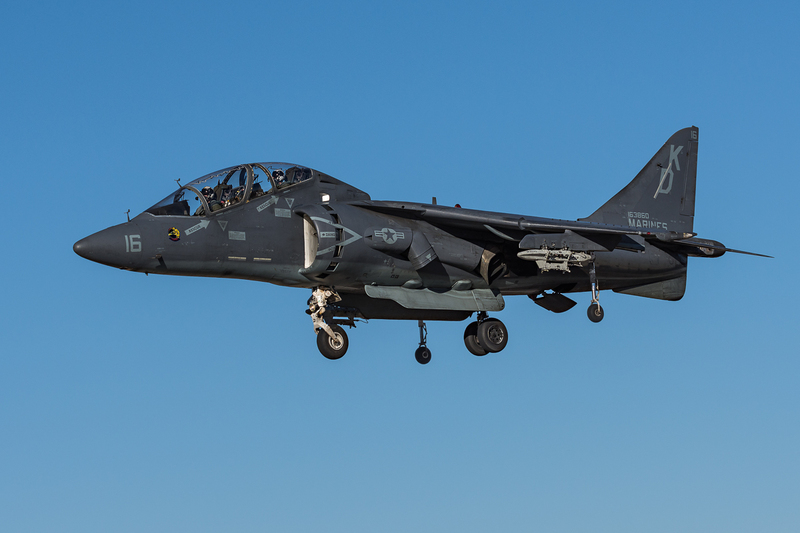 Special thanks goes to Captain William Doster and Commander Adam Schlismann for hosting the event.